In the quiet countryside above the Croatian resort of Dubrovnik, a battle is unfolding. This David and Goliath tale pitches an international real-estate project against a group of local citizens. The one billion euro development plan by controversial Israeli businessman Aaron Frenkel and Australian golfing legend Greg Norman is Croatia’s largest greenfield investment. They want to build a massive luxury golfing complex up on the hillside. 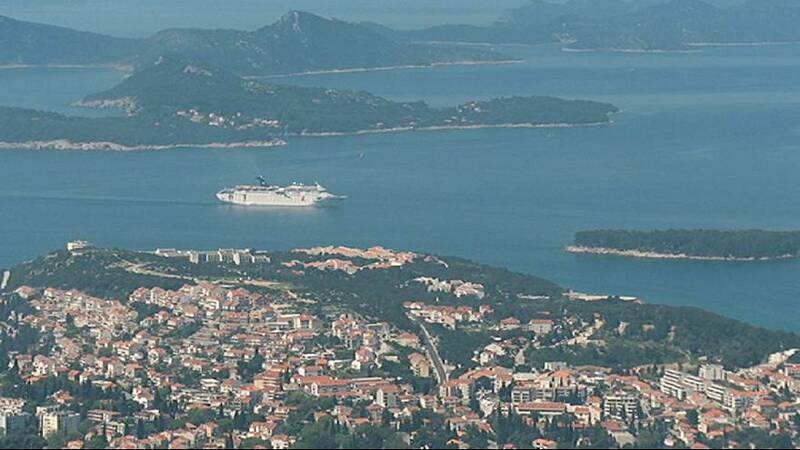 It’s part of the Croatian government’s drive to invest heavily in tourism to boost its embattled economy. Down in the historic city of Dubrovnic, opposition is strong. Many among the city’s 40.000 inhabitants object to the creation of an exclusive real estate resort for wealthy jet-setters up on the plateau, fearing it will threaten the scenic beauty and identity of their city. Opponents also worry that it will represent an environmental hazard, arguing that works needed to bring water to the golf park could cause massive damage to the environment. They say the project is not about golf but about real estate speculation, that will turn one third of Dubrovnik’s public space over to private development and won’t bring any financial gain to the people of the town. Critics denounce a conflict of interest between public and private investors, in a country where corruption runs deep. But the mayor of Dubrovnic, whose brother runs a construction business, supports the project, saying it will bring hundreds of new jobs. The Golf Park Dubrovnik Project is headed by Frenkel’s wife, Maya Frenkel, a former Croatian deputy minister of the economy. She says the country badly needs this kind of investment and denies accusations of corruption, adding that investors have been faced with bureaucratic hurdles in a country not yet used to this kind of large-scale project. A referendum on the project recently organised by opponents failed due to poor turnout. Eight out of ten voters rejected plans for the golfing resort, but turnout was only 30 percent, well below the 50 percent required for it to be valid. If investors get the building permit by autumn as planned, construction work will go ahead next spring.